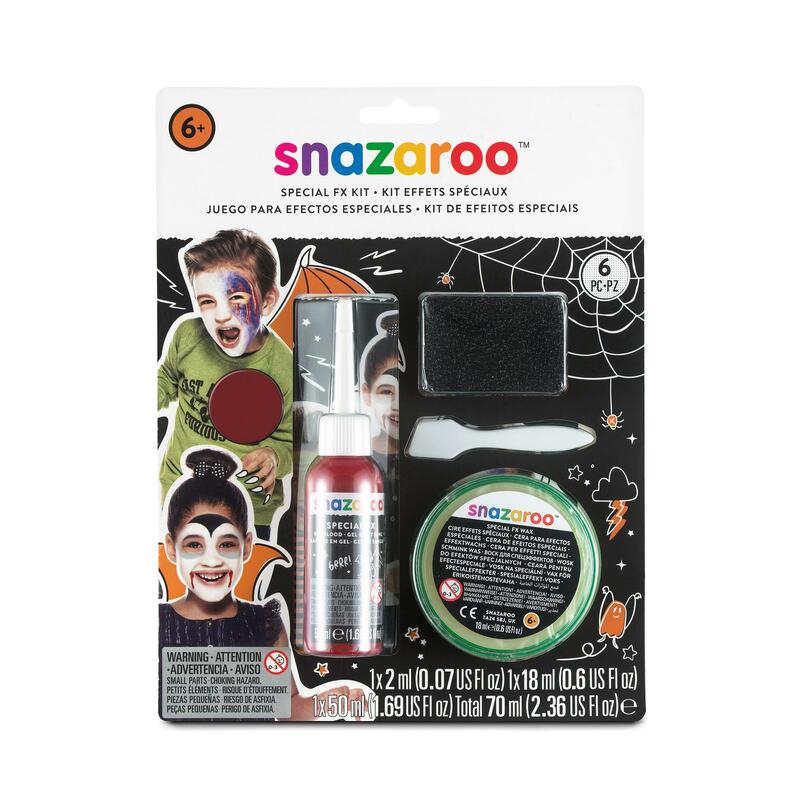 Follow our Witch kid face paint design in three easy steps. Take a small amount of Special FX Wax and mould it into a ball. Press the ball onto the left cheek to create a wart. Next take a larger amount of wax and mould around the nose in an ugly shape. 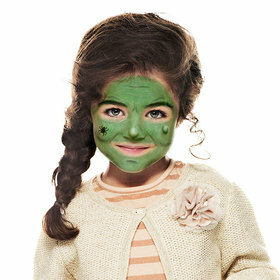 Using a large sponge, cover the face in grass green. Then take a brush and paint thick eyebrows in black paint. 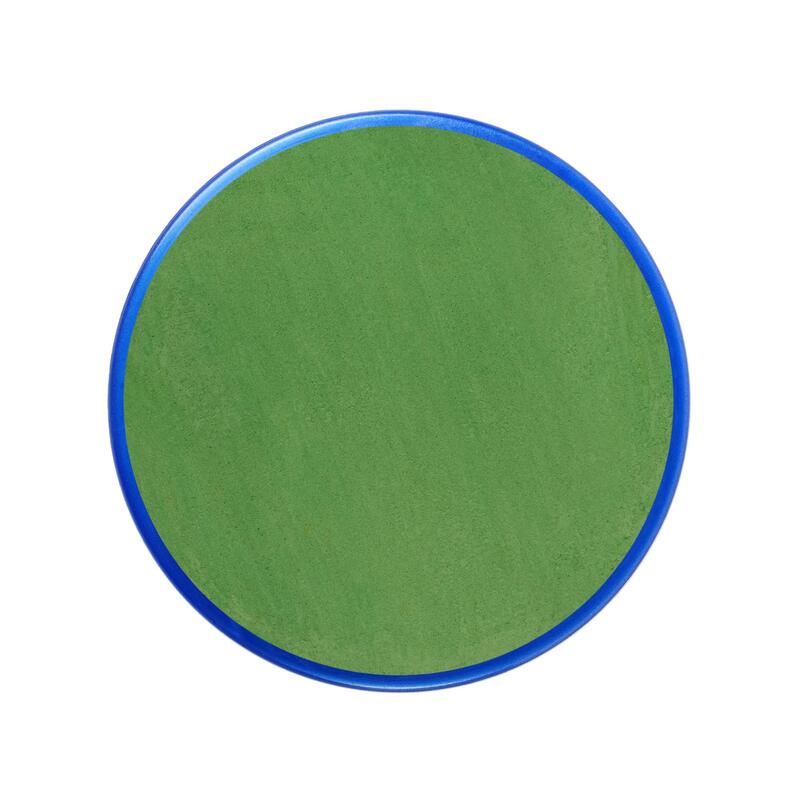 Finally, mix some grass green with a tiny amount of black. 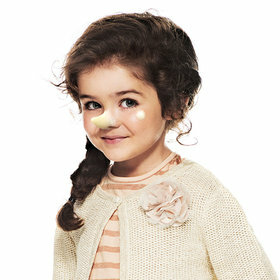 Then use the corner of a sponge to blend wrinkle lines onto the forehead, and around the eyes, chin and cheeks. 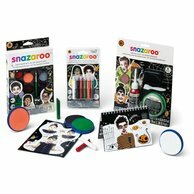 Our spooky Halloween products are bundles of fun and have everything you need, whether you’re looking for a beginners set or something more creative.